Many thanks to the doctors, researchers, journalists, caregivers and volunteers that help to uncover the mysteries of this disorder and to care for those with OT. "Imagine Being Able to Walk, But Not Stand"
For more information read this article on OT - Dr Torres-Russotto, University of Nebraska Medical Center. what is Orthostatic Tremor ? Primary Orthostatic Tremor, also known as Orthostatic Tremor (OT), is a progressive neurological movement disorder, characterized by high frequency tremors, predominantly in the legs when in a standing position, and an immediate sense of instability. OT is a very fast so you may not recognize the problem as a tremor as compared to the more common essential tremor (4-7 Hz) or Parkinsons (3-6Hz) which produces a very visible movement. Currently considered a rare disorder however, we are greatly under diagnosed and often misdiagnosed as other neurological problems such as Parkinson's, MS, ET, etc. The cause and cure of OT is unknown. Orthostatic tremor was previously referred to as Shaky Leg Syndrome. When we describe our symptoms, we generally do not complain of tremors as such because our main focus is on a sudden, unique, disabling event that happens to our legs when we attempt to do anything that requires us to remain in a standing position. What we feel in both legs simultaneously is extreme straining, fatigue, unsteadiness and a fear of falling. The muscles in our legs become hard, our ankles feel weak and toes curl under as our legs fail to support us. We can stand for only a short period of time, in some cases only seconds. There is a feeling of panic to find a place to sit, or if possible, walk to gain some relief of our symptoms. Other areas of the body, such as trunk and arms may also be effected. 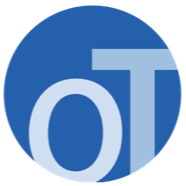 This OT profile is a repeating cycle that happens all through our day. OT is an entity that is life changing and unrelenting. Looking for a Movement Disorder Center? Thanks to the Partners in Parkinson's there is a helpful resource that lists Movement Disorder Centers by state or province in the US and Canada. It's not a guarantee that you will find someone that is a specialist in OT, but it's a good start, along with asking your primary care physician, and seeking referrals from other people with OT. For the majority of people that have OT, the tremor is a very unique identifier. One term used with tremors is Hertz or often abbreviated as Hz. This indicates the frequency or “how many per second”. Compared to the more common essential tremor (4-7 Hz) or Parkinsons (3-6Hz) which produces a very visible movement, the OT tremor is quite fast, usually falls within a range of 13 to 18Hz. As a result of this speed it doesn’t often appear as a tremor. Imagine tapping your finger 18 times a second. A tremor that doesn’t look like a tremor often leads to misdiagnosis. But what if you don’t have an expensive EMG machine - but you do have a smartphone. There are several Apps (and some are free) that run on cellphones that may be helpful determining the frequency of a tremor which could potentially be a tool to help with diagnosing OT. Why is standing a problem, but walking can offer partial relief for some people? According to recent research at the Neurology Department of the University Hospital Mannheim, Germany, the tremor is reduced as your toe leaves the ground and your leg begins it's swing phase. But once your heel strikes the ground the tremor is back. The foot that is in contact with the ground and is doing all the work is experiencing the tremor, even when you walk. But the other foot experiences some relief because the tremor is reduced. But, throughout the gait, the one thing that didn’t change was the frequency (the speed of the tremor). So, based upon their results, the tremor always remained but the severity of the tremor changes. Thank you to everyone that has contributed their experiences and thoughts to this website and forum.